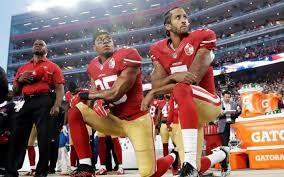 Recent well-publicized efforts and protest ranging from Obama’s My Brother‘s Keeper initiative, the NFL players protest and subsequent players owners committee meeting not to mention countless other community action groups, show there is no shortage of people and money looking for that elusive solution to the race and social justice problem. The solution is inextricably connected to the problem, which is simply stated. In this media-driven age, the most visible, vilified and victimized race in the nation, African Americans are without national news media presence and representation. The solution is obvious and logical. It’s summed up in one overriding issue: the absence of accountability, which has allowed these opposing forces to act with impunity. The establishment of our own national news media will directly address the problem by eliminating the lack of exposure that has allowed these offenses to exist and persist. We’re launching a 24/7 all-inclusive national cable news television network and 24/7 online news magazine giving African Americans national news representation for the first time in history. All-inclusive means we are not limiting or marginalizing ourselves by being a black news organization about black people. In other words, we will not be a national cable news television network version of Jet Ebony or BET. We’re going to compete with the other major news organizations covering the same national and international news but include what they have been omitting, which is the issues, interests, and concerns of black Americans. Perhaps, what’s even more at stake is the perspective and mentality we are introducing by example to African Americans. With this endeavor, we are showing black Americans not only do we need national news media representation but there is no reason in being more informative, we can’t be the leading national news media organization in America. The news is about the selection and dissemination of information, which is a matter of choice. 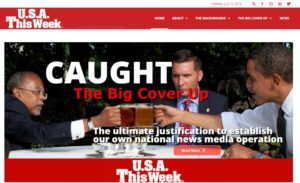 “The Big Cover Up” video shows in real time how the mainstream news media deferred to law enforcement in a case involving President Obama and knowingly covered up police misconduct. This racially oriented police and press complicity does not happen in every instance but often enough to show it’s as real a practice in the news media as the code of silence is in law enforcement. This is far more than just a good idea. “The Big Cover Up” video, which we produced is exhibit “A” showing how critical it is for us to have our own national news media operation, the ability to impose accountability where it has never been and how news media exposure works as a deterrent. The video is a classic example of the news media knowingly covering up police misconduct in a case involving race, showing not even the black president was exempt from this racist practice. This being such a novel, liberating empowering concept, a cable news television pilot is mandatory to give both potential investors and everyone else a full news-day televised example of the kind of game-changing all-inclusive news media operation America needs and has been waiting for. The concept has never been the problem. Acquiring the capital to produce a television news day pilot justifying the final capital outlay to launch the national cable new television network is the ongoing challenge. However, with our “GoFundMe” campaign to produce our news day pilot, we feel we our goal has become imminently achievable. 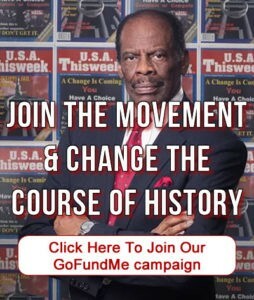 Check out the “The Big Cover Up” video, and after viewing the ultimate justification for this news media operation, please go to “GoFundMe” and make a donation to help make this happen, tell a friend and participate in changing the course of history.